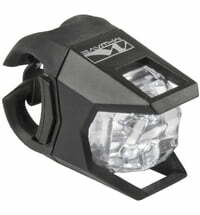 'Hunter' Light Set with Universal Attachment. M-Wave is a manufacturer of bicycle components. Who does not know the situation, where on a bike ride the chain rip off, you get a flat tire or another technical defect happens. Many biker have then usually no or not the right tool here. M-Wave tries to avoid these situations by its bicycle products offered by the company. The products are reliable and don't leave you in such cases in the lurch. They convince with function, durability, stability and price/performance ratio. Not only for hobby cyclists M-Wave offers the right equiment, but also for racers. The aluminium-carbon technology of M-Wave products convinces in racing and impresses with ease, design and durability. Quality and performance are a part of the tools and bike accessories by M-Wave. Thus you do not come at the next bike tour in such a situation.